All commercial motor vehicles (CMV) that weigh more than 10,000 pounds must undergo annual DOT inspections. A DOT inspection is an inspection conducted by the Department of Transportation to ensure that all the CMV parts and accessories are safe to use, in good condition and working properly. There are six primary levels of DOT inspections. These may be conducted anywhere by a qualified DOT inspector or state police officer. The following list of the different levels includes an explanation of the methods used in assessing the vehicle and its drive. This inspection is almost identical to the level 1 evaluation, except that the inspector will not check any of the parts that require physically getting under the CMV. You may want to consider using a DOT driver vehicle checklist or mobile app to learn what goes into conducting a vehicle safety inspection. The level IV special inspection refers to a one-time examination conducted to take a closer look at a particular feature of the vehicle. This is usually done to invalidate a previous claim about the vehicle — in order to support or refute a study or suspected trend. A level V inspection can be conducted at any location and includes everything in level I regarding the vehicle — but without a driver present. Even though tires rarely blow out, they do tend to deflate slowly until the vehicle can no longer be driven. Check each tire for air and use a digital tire pressure gauge to check out tires that seem deflated. Also be sure to know the rules and regulations in your state about mudflaps. Some states provide specific requirements for mudflaps/splash guards on the rear of the vehicle (to keep spray and debris tossed up by the tires from hitting the windshields of the following traffic). Malfunctioning lights, bulbs, and electric signals can be a safety hazard. Be sure to check not only the brake lights but also the headlights, high beams, and low beams by turning on the engine and switching each one on systematically. Any cracks in the windows (even small, tiny chips) can quickly become much worse if they aren't addressed right away. Be sure to regularly check for hairline cracks and "stars" caused by flying gravel. 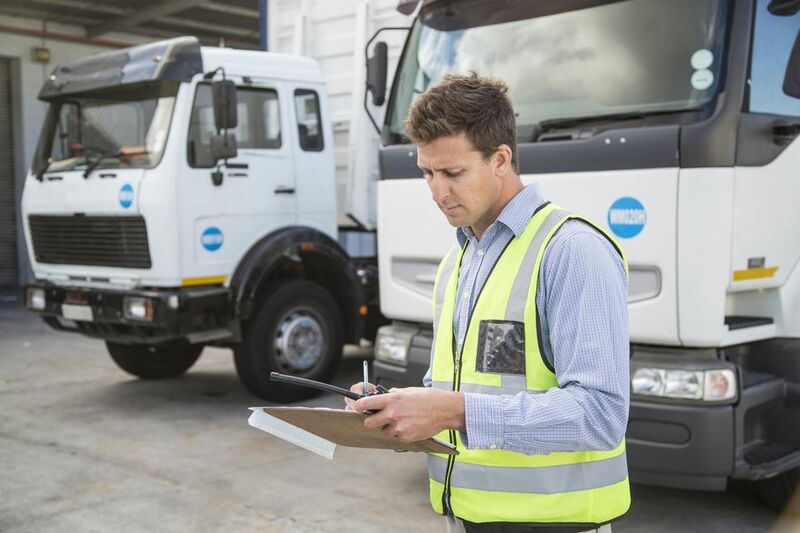 To ensure that drivers are passing inspections with flying colors, it's important to know what the inspection criteria includes and how to be proactive about maintaining a safe CMV.